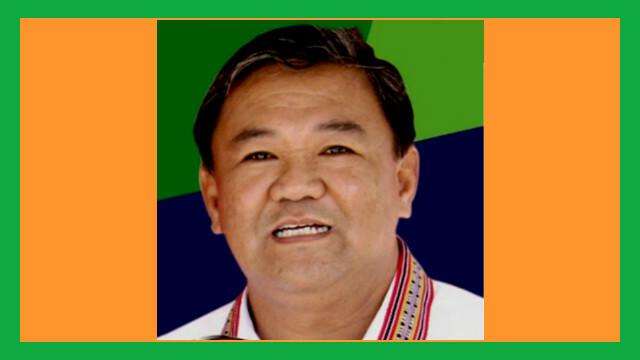 TABUK CITY, KALINGA – Jocel Baac, who is on his third consecutive term as Governor of Kalinga, officially announced last week that he is running for the congressional seat in the May 2019 elections. He made his announcement at the flag raising ceremony at the Provincial Capitol plaza in front of employees, members of the Sangguniang Panlalawigan, and supporters including former Governor Dominador Belac. Baac said his decision is based on the outcome of various consultations with his supporters as well as surveys conducted to assess the viability of his congressional bid. “The results were all unanimous and to reciprocate this desire and sentiments of the majority, I now officially declare my intention to run for Congress in the 2019 elections,” he said. He cited the various achievements and recognitions that Kalinga has received during his administration including the five consecutive Seal of Good Local Governance award bestowed by the Department of Interior and Local Government, the recent inclusion of the province in the list of Top 20 Most Competitive Provinces in the country, and the exit of the province from the club of 20 poorest provinces in the country in 2010. “With this wealth of expertise and humble experience in the field of efficient governance, I am appealing before you to be with me in solidarity in this cause to Congress,” he said. The local chief executive then outlined his platform, at the forefront of which is the promise that he will “build projects that can withstand the ravages of nature” and will “discourage the implementation of projects that are not considered priority and responsive to the needs of our constituents in order to avoid wastage of meager resources of government”. He promised to “eradicate political interference” in the hiring of teachers in the Department of Education, in the identification and prioritization of educational assistance program and congressional scholars, and in the construction of school buildings. Lastly, Baac said that he will “build a political structure in Kalinga on the basis of participatory democracy and humanism”. Baac is expected to run against Congressman Allen Jesse Mangaoang with whom he has not always seen eye-to-eye. It will be recalled that Baac served a six-month suspension last year as a result of charges of grave misconduct, oppression and abuse of authority filed by the provincial board led by then Vice Governor Mangaoang in 2015. Not long after, the Department of Public works and Highways–Lower Kalinga Engineering District (DPWH-LKED) was in hot water with provincial officials and Tabuk City Mayor Ferdinand Tubban over the P5.5 billion Chico River mega-dike project. Advocated by Mangaoang as the permanent solution to the perennial flooding in communities along the Chico River, the multi-billion mega-dike project had nonetheless faced strong opposition from officials of affected local government units. The latter alleged that they were not consulted during the development of the project’s master plan nor were they given a say in its implementation. Mangaoang, for his part, had repeatedly denied the allegations of the project’s critics.